Back to wearing maxi's! :D I really tried my best to stay away from the for awhile cause I was beginning to feel predictable and I was also thinking that you guys were starting to get sick of me wearing them but I couldn't help it any longer. They are just the easiest to wear :P Maybe I'll make some midi variations to switch things up a bit. But I really find the floor sweeping type maxi's make me look way taller than I really am so they'll always stay close to my heart. I'd like to congratulate Mary Angeli P. Cruz of The Curious Zealot and Hanah Kerstie Abello of Cyanide Beauty for winning the Forever21/Unilab Giveaway! Unilab will be in touch with you soon. pps. I got a lot of emails regarding the gold kimono I was wearing two posts ago so okay, thank you for the overwhelming response. You can now order your own :) Setting up swatches for other available colors and fabrics too! Let me know if you guys have any suggestions. If you're interested to order, just email me. 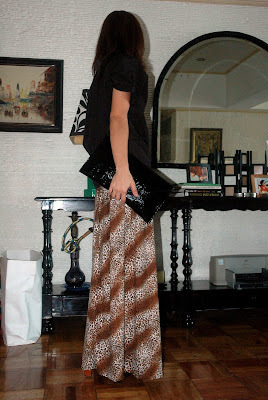 i love the print of your maxi! it goes so well with your JC Lita's! oh my! love the shoes! fierce! You DO look tall! Great top with that maxi. Love your shoes. Congratulations on the win and I love love this maxi dress print. 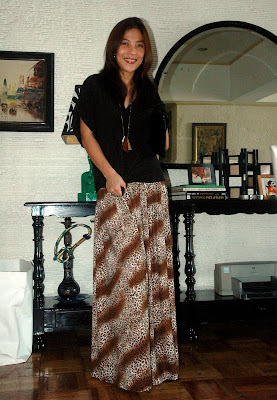 I don't think anyone will ever get tired of your maxi skirts! Don't feel bad for an addiction to maxis, they're a summer staple for all the right reasons. I love your square-toed heels. Wow. Love your outfit esp the shoes!!! 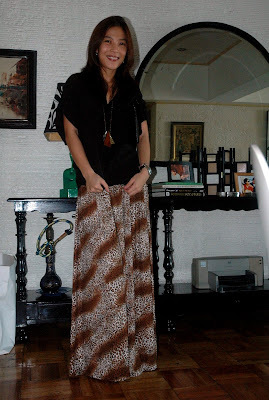 love your maxi and those shoes are awesome!! !